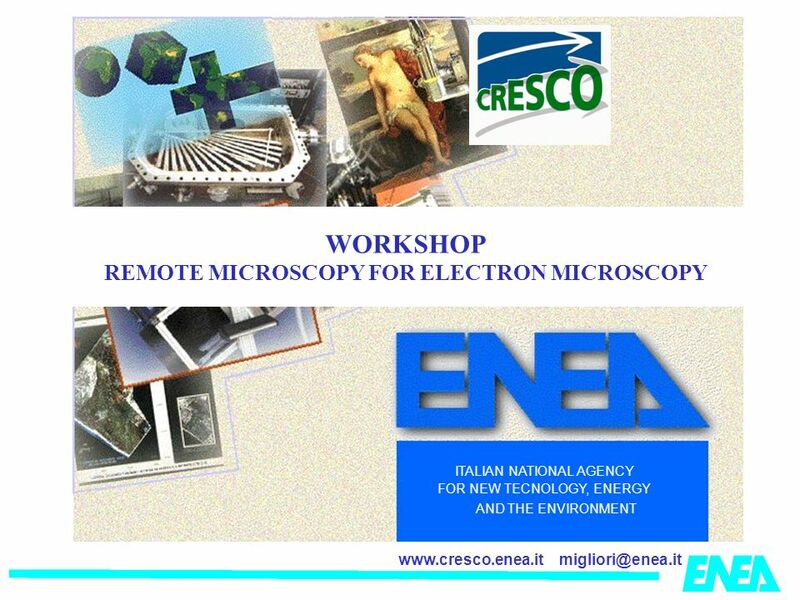 ITALIAN NATIONAL AGENCY FOR NEW TECNOLOGY, ENERGY AND THE ENVIRONMENT WORKSHOP REMOTE MICROSCOPY FOR ELECTRON MICROSCOPY. 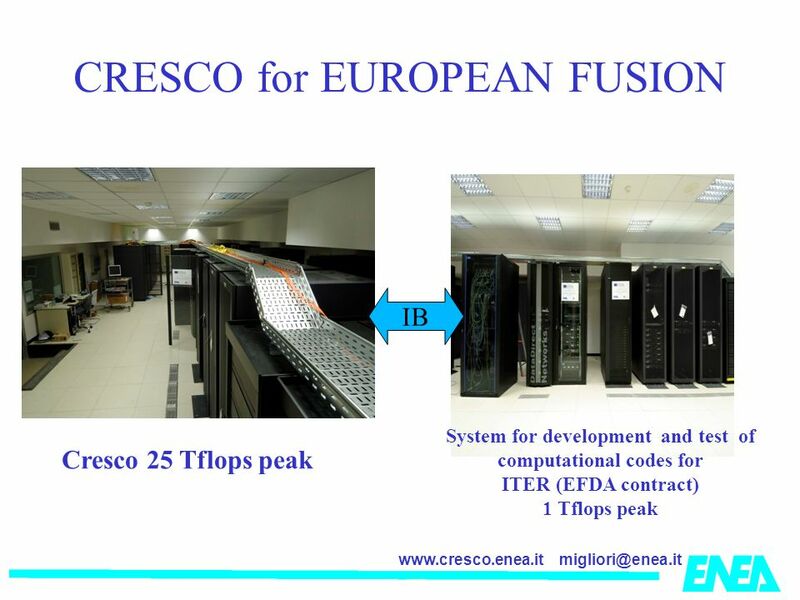 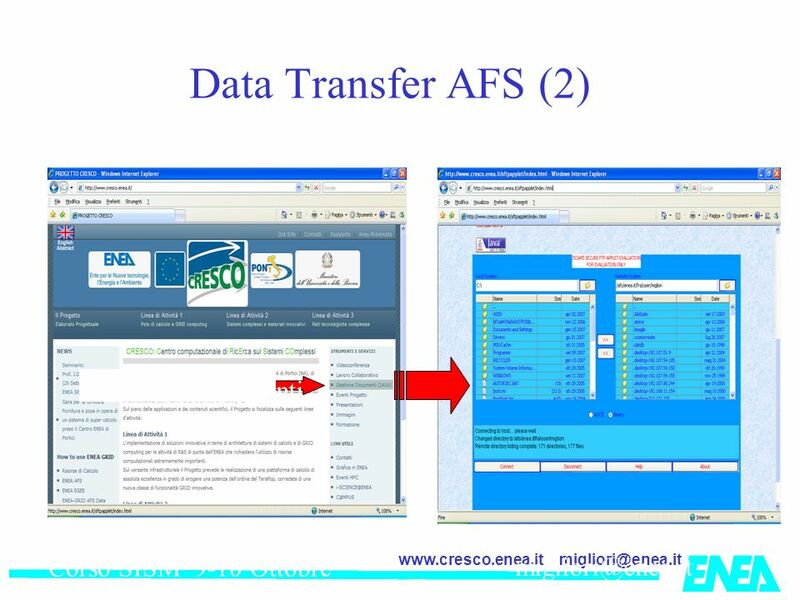 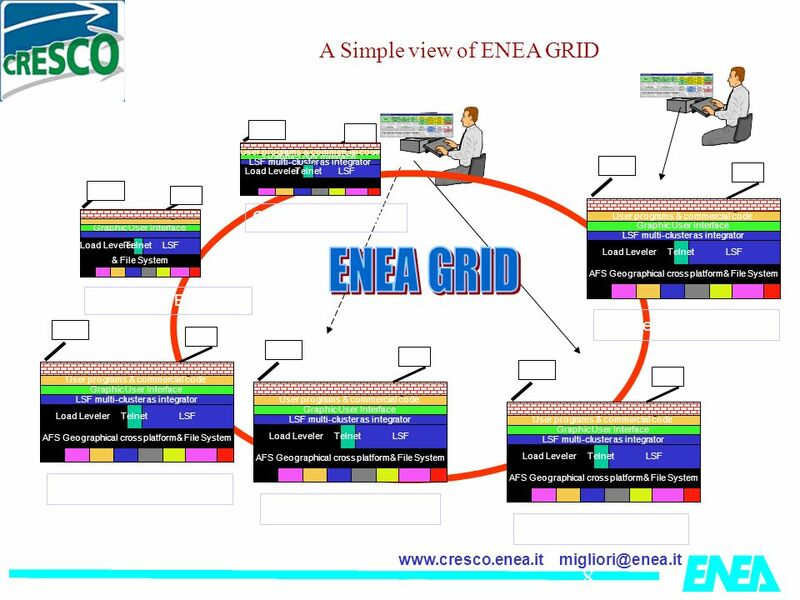 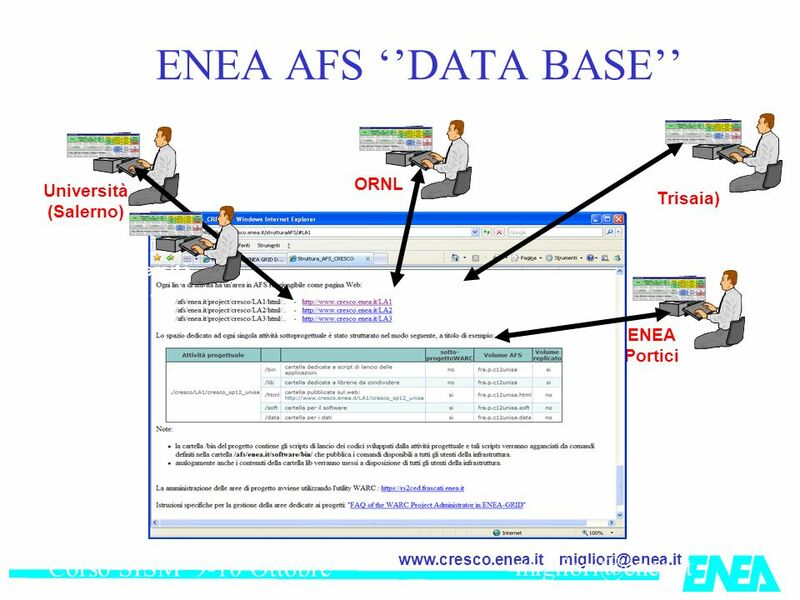 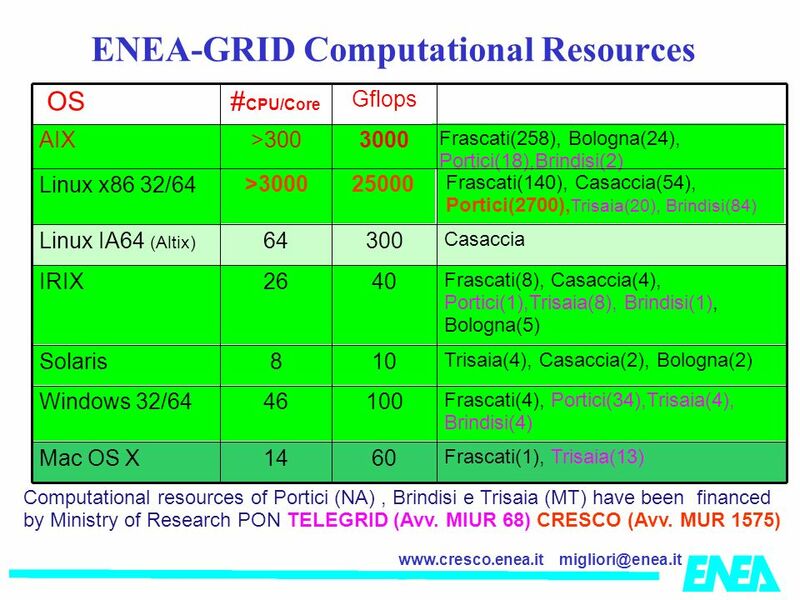 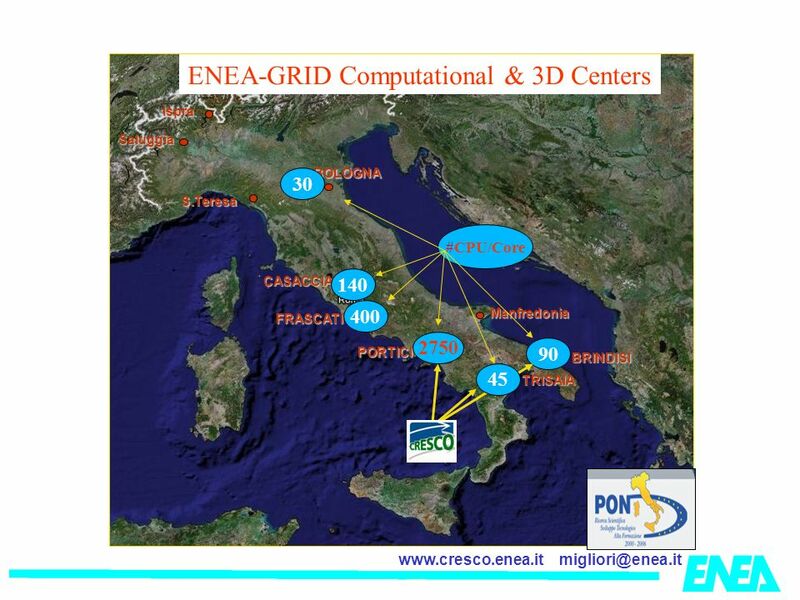 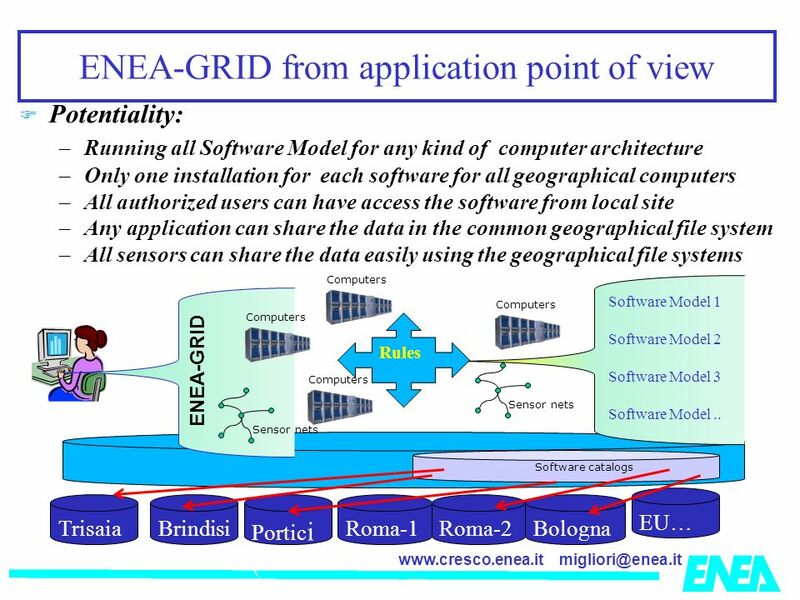 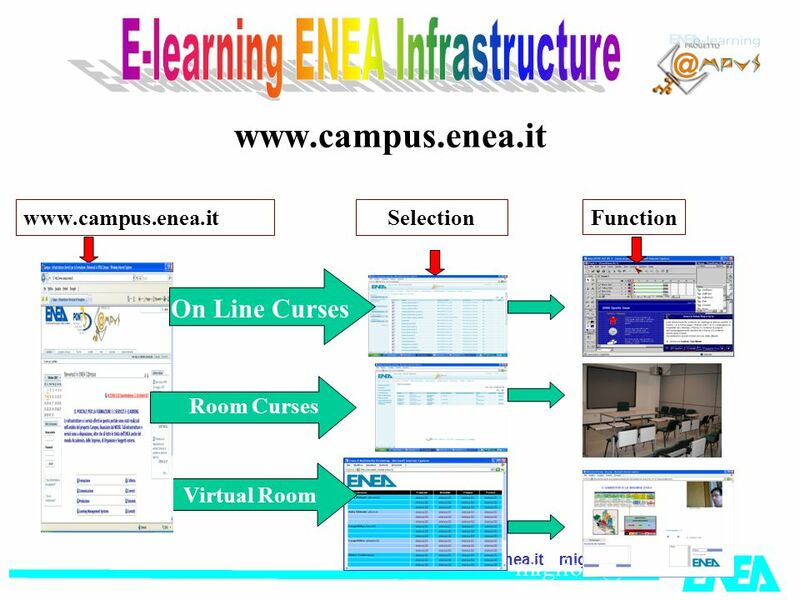 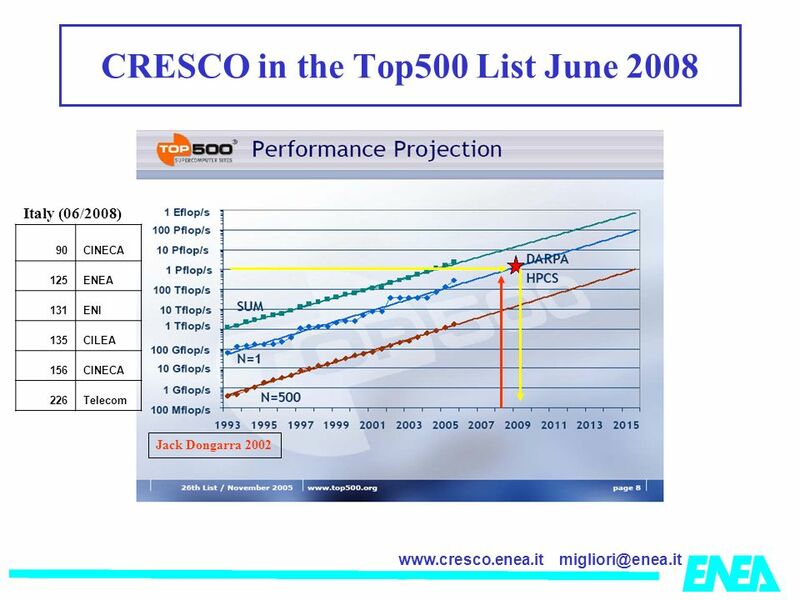 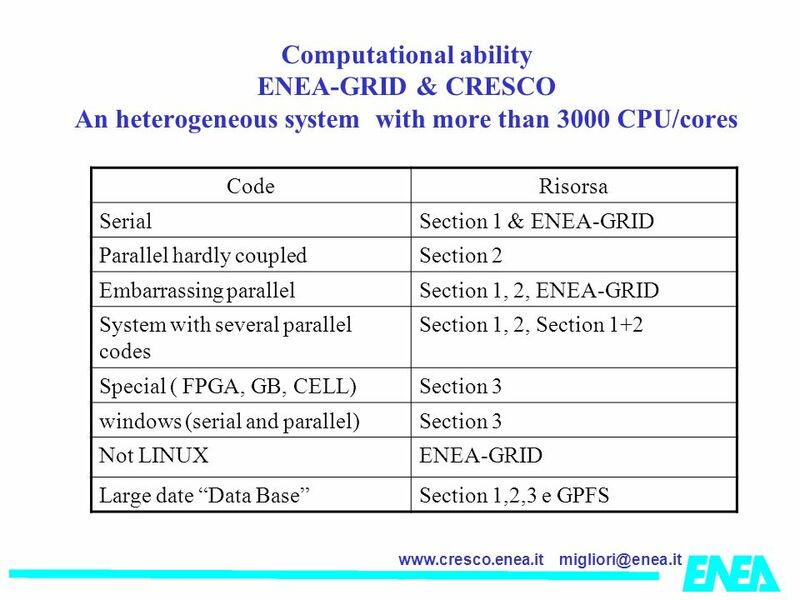 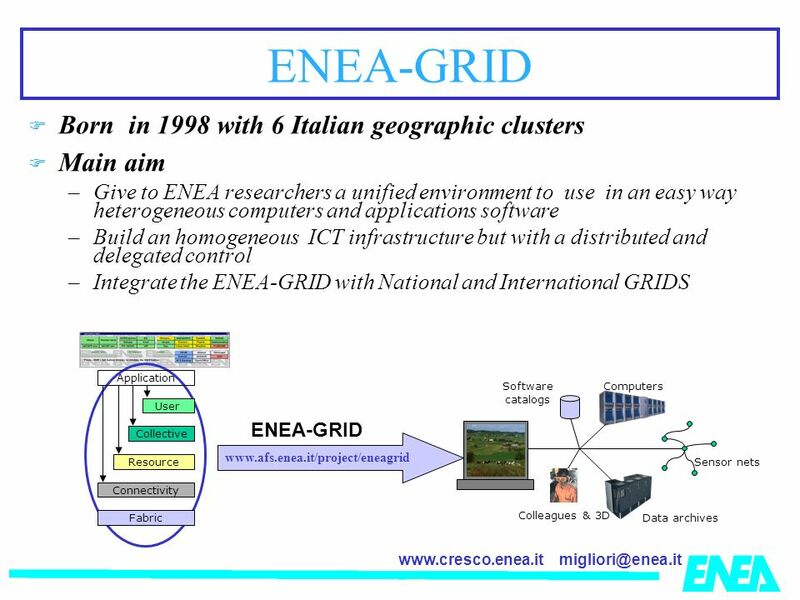 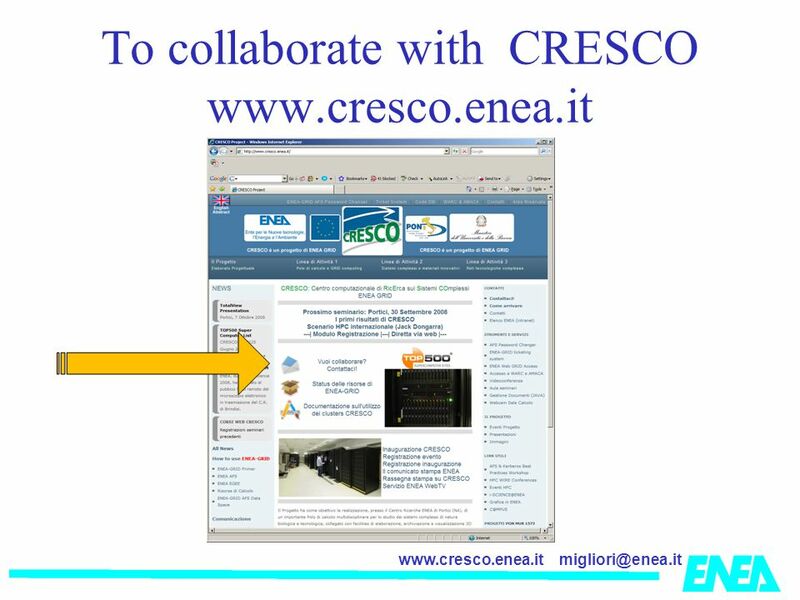 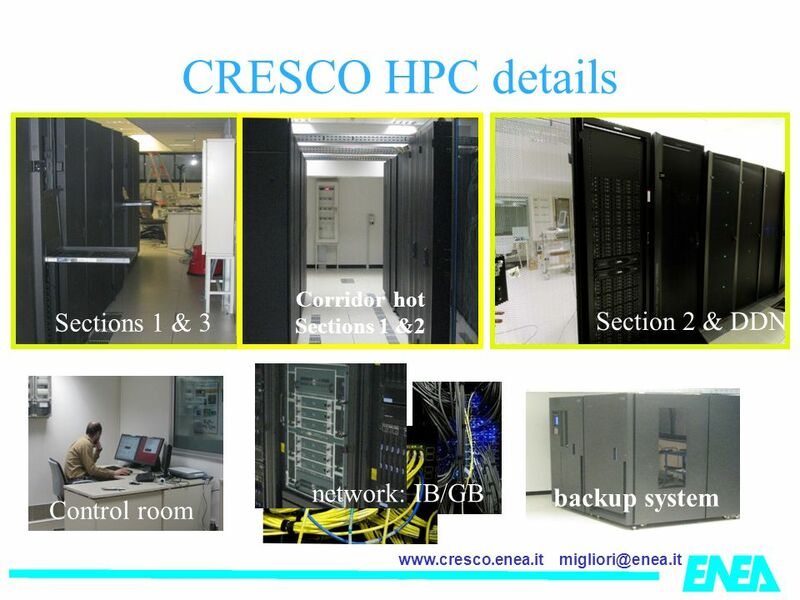 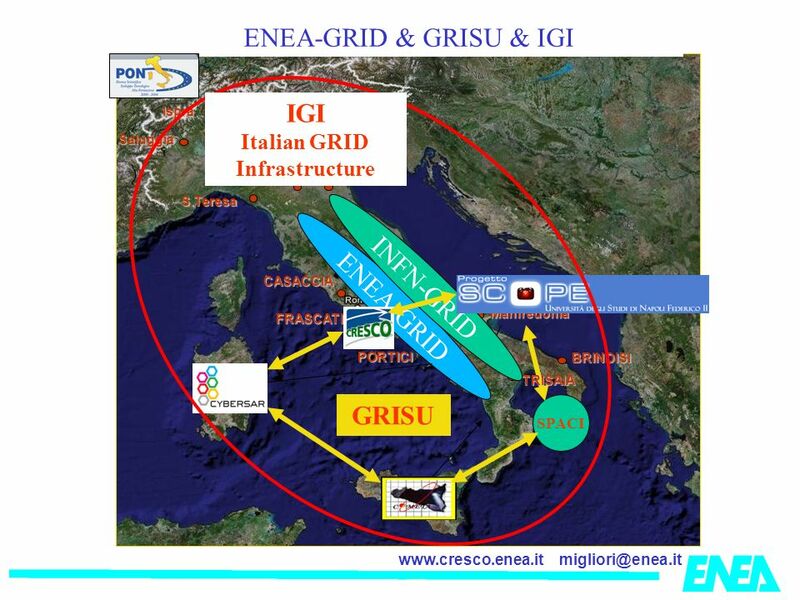 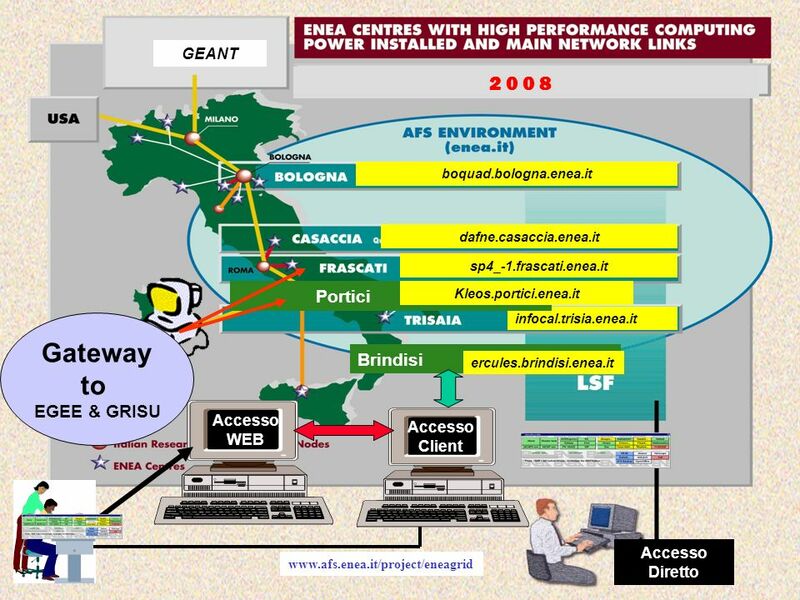 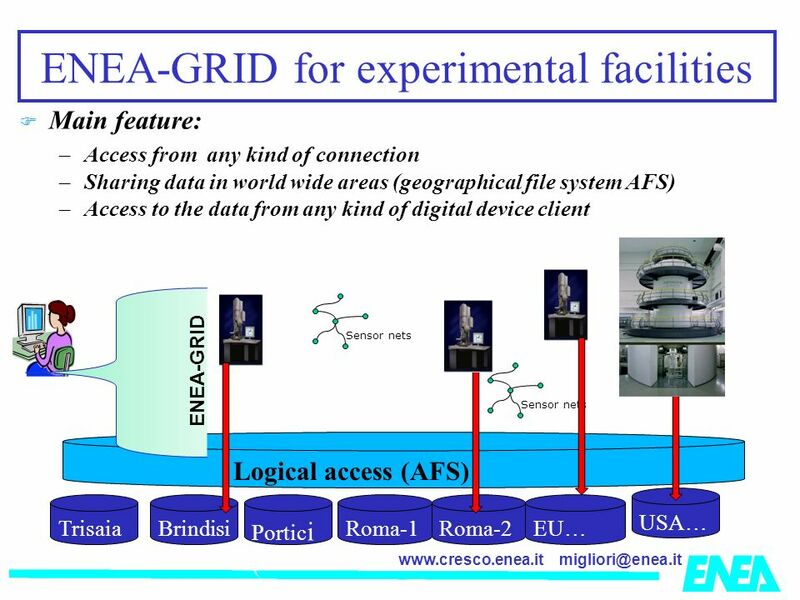 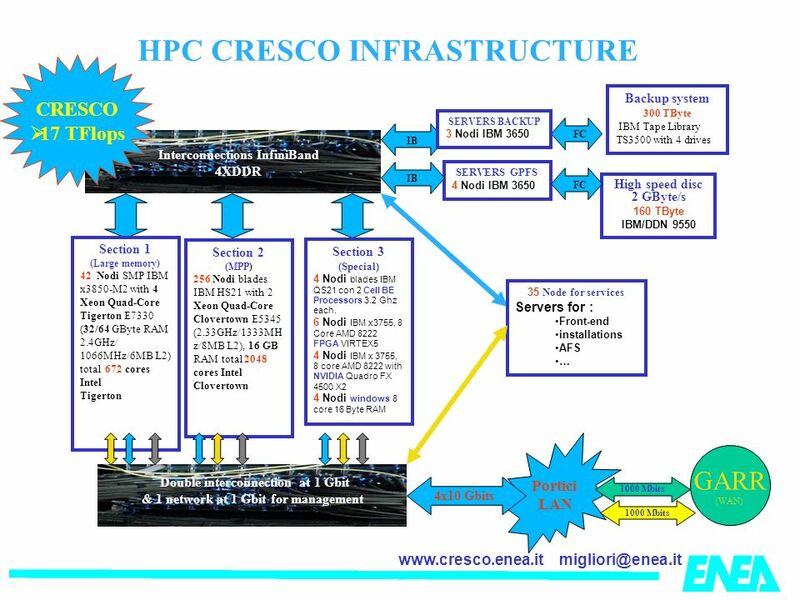 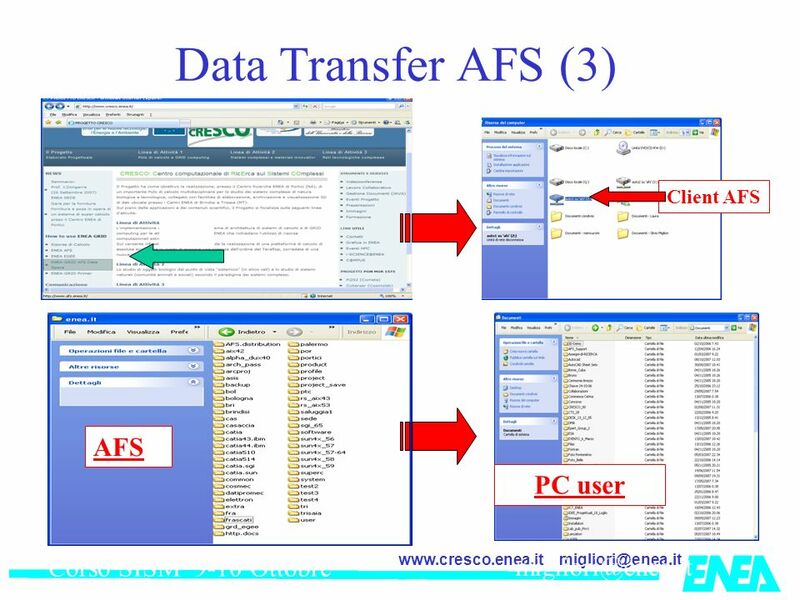 34 migliori@enea.itwww.cresco.enea.it GARR PI2S2 GARR Others Entity La ENEA-GRID interoperability with others GRID ENEA has been developing the shared proxy solution Maintain the GRID internal architecture and autonomy Allow multiplatform impementations Under production on EGEE Under production on GRISU Required by EFDA for EGEE EFDA EGEE ? 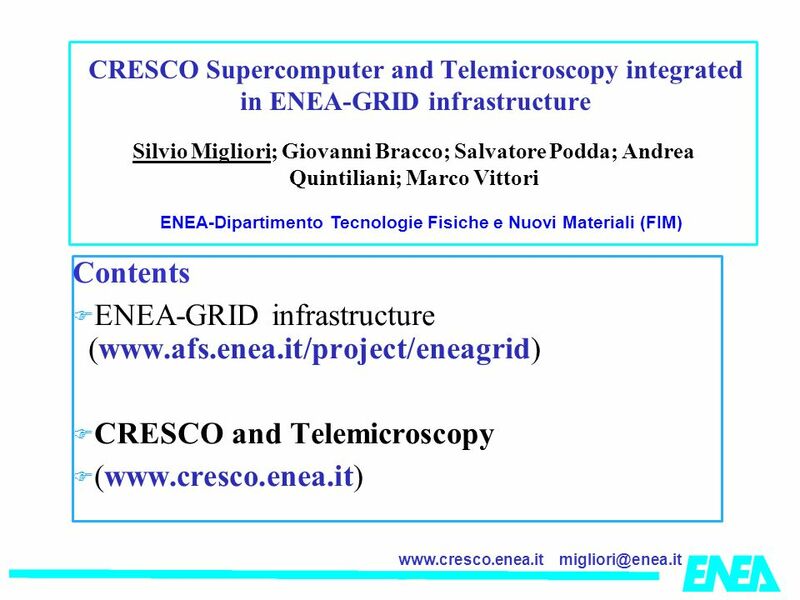 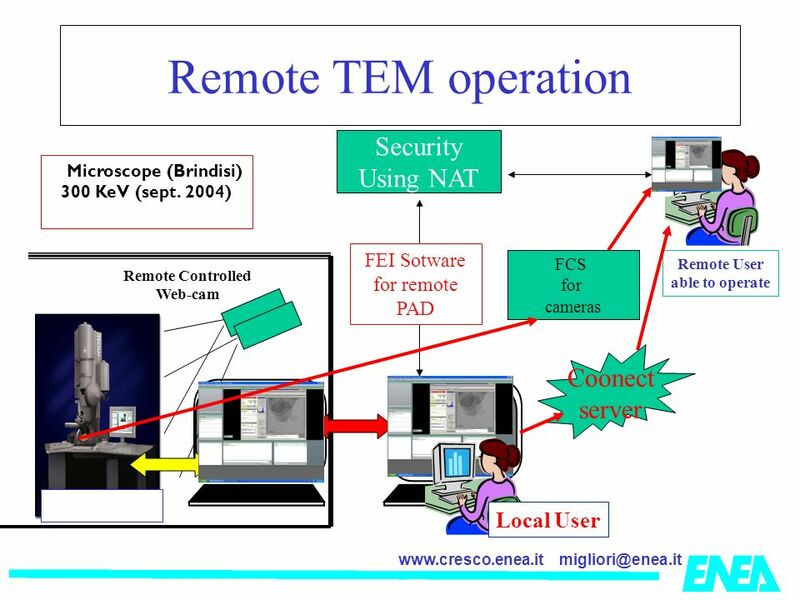 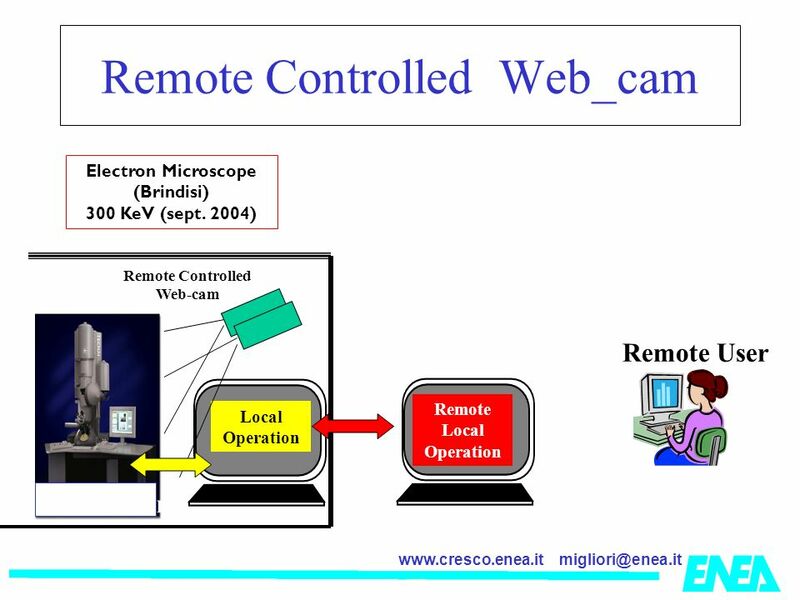 Download ppt "ITALIAN NATIONAL AGENCY FOR NEW TECNOLOGY, ENERGY AND THE ENVIRONMENT WORKSHOP REMOTE MICROSCOPY FOR ELECTRON MICROSCOPY." 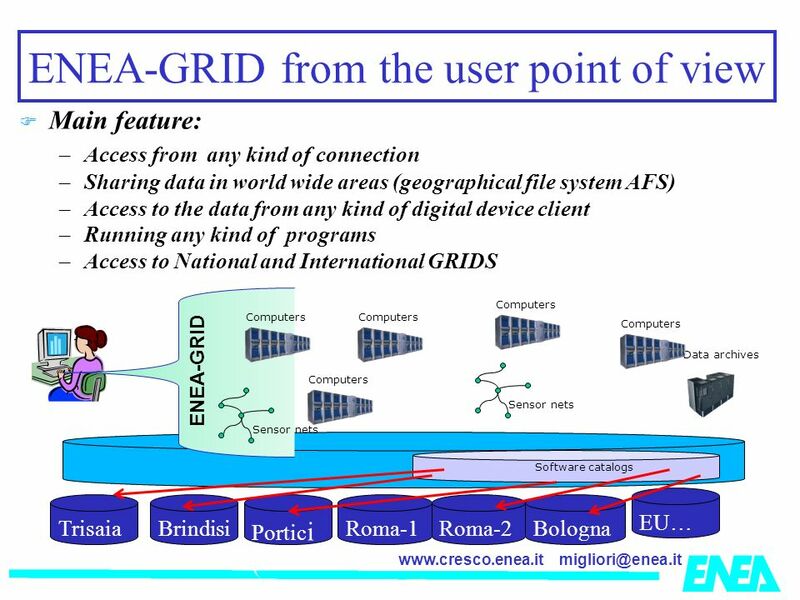 ENEA-GRID, Incontro GARR, Roma 15/7/2004 Incontro GARR 15 Luglio 2004, CRUI, ROMA Armonizzazione delle strutture di rete e delle griglie computazionali. 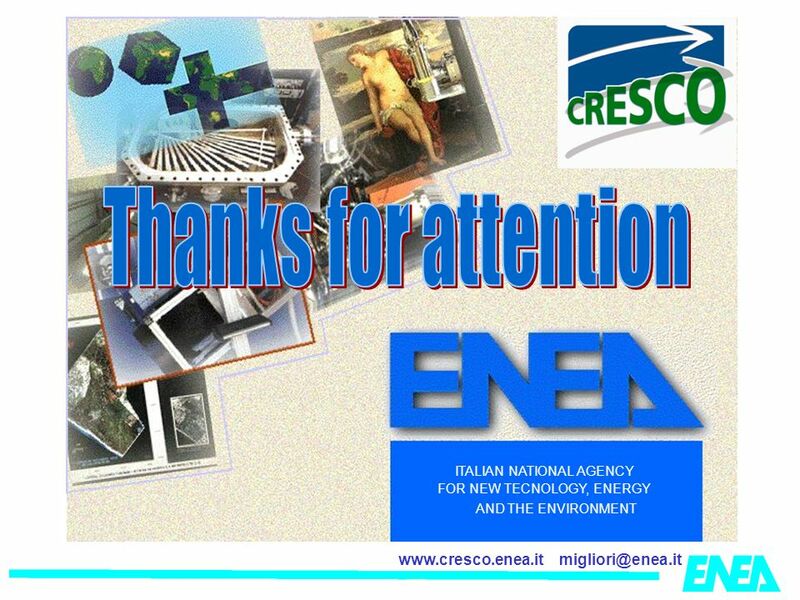 ITALIAN NATIONAL AGENCY FOR NEW TECNOLOGY, ENERGY AND THE ENVIRONMENT CRESCO Seminario Portici 05 Febbraio 2009. 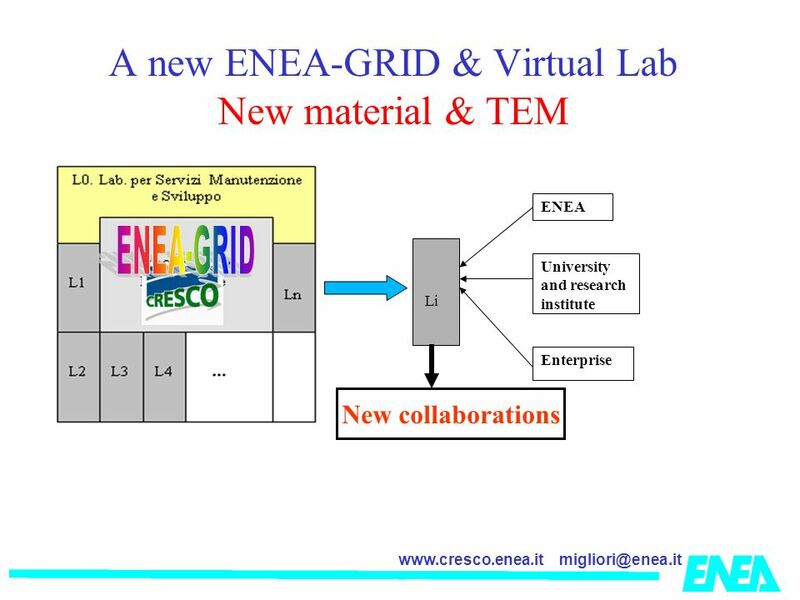 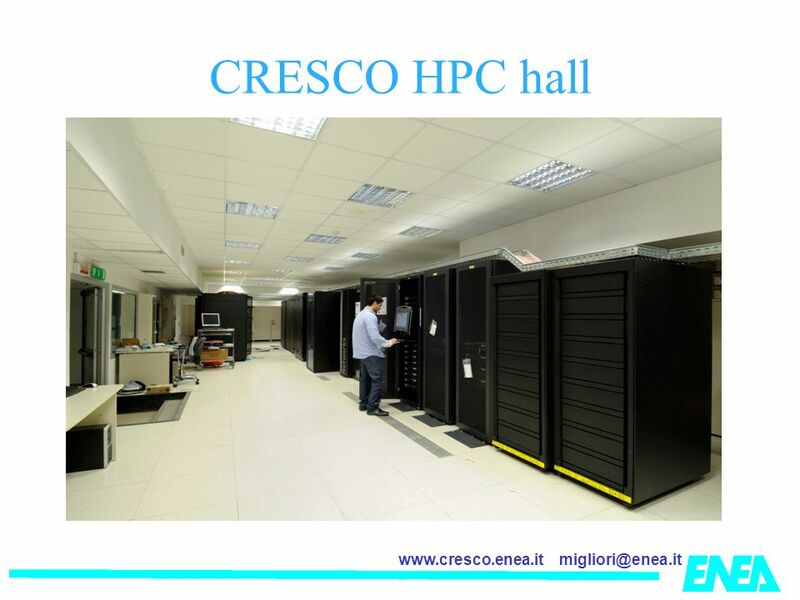 GRISU' Open Day su Scienza ed Ingegneria dei Materiali e Grid : Napoli ENEA Grid e CRESCO in GRISU: uno strumento per la scienza dei materiali. 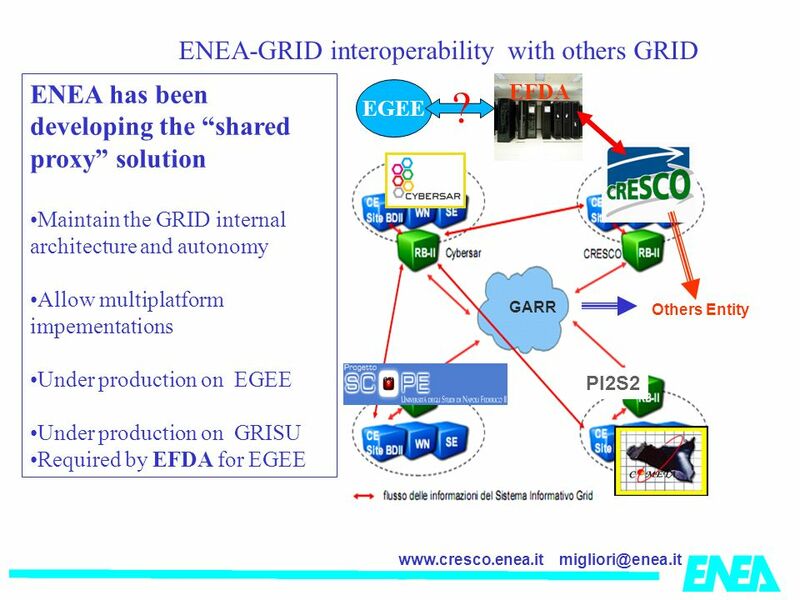 OGF 2009 Catania 2-6 March 2009 Workshop Advantage of regional e-infrastructures in Grid Technology uptake by local scientific communities and SMEs Recent. 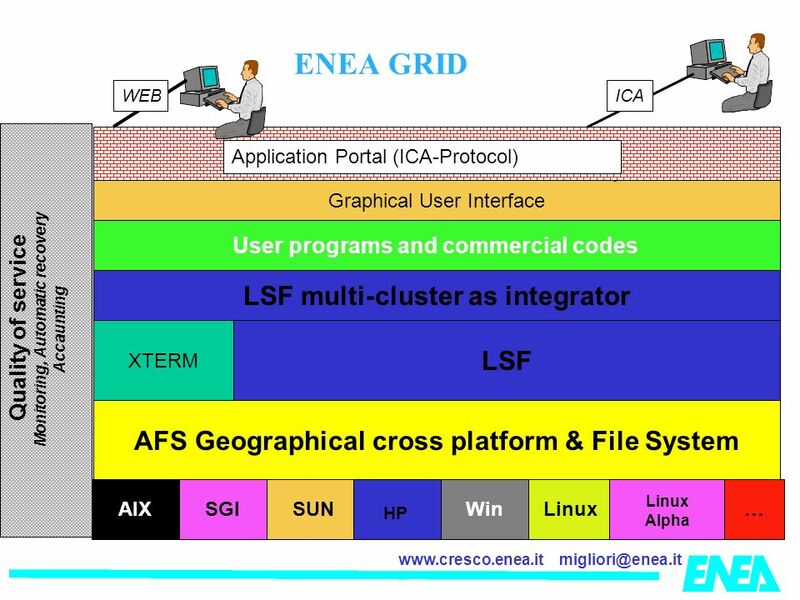 Die Kooperation von Forschungszentrum Karlsruhe GmbH und Universität Karlsruhe (TH) StorNextFS, a fast global Filesysteme in a heterogeneous Cluster Environment. 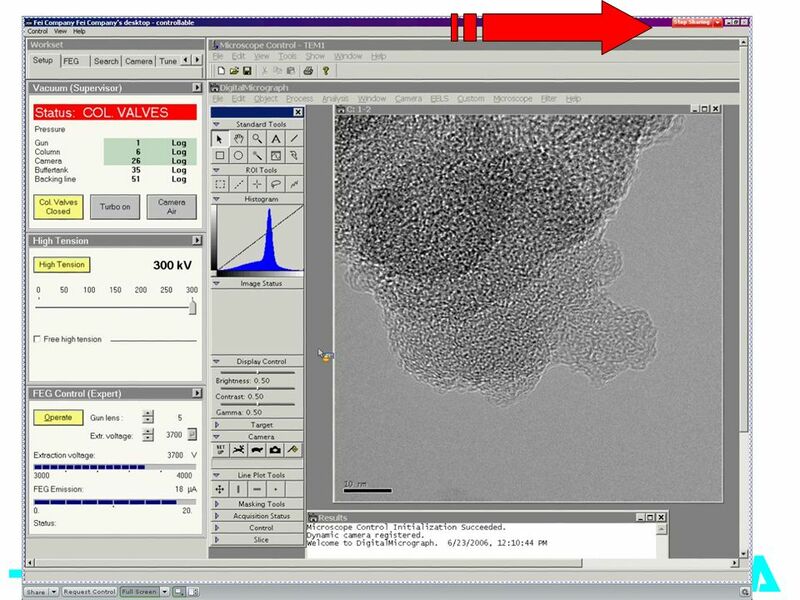 CASPUR Site Report Andrei Maslennikov Lead - Systems Edinburgh, May 2004. 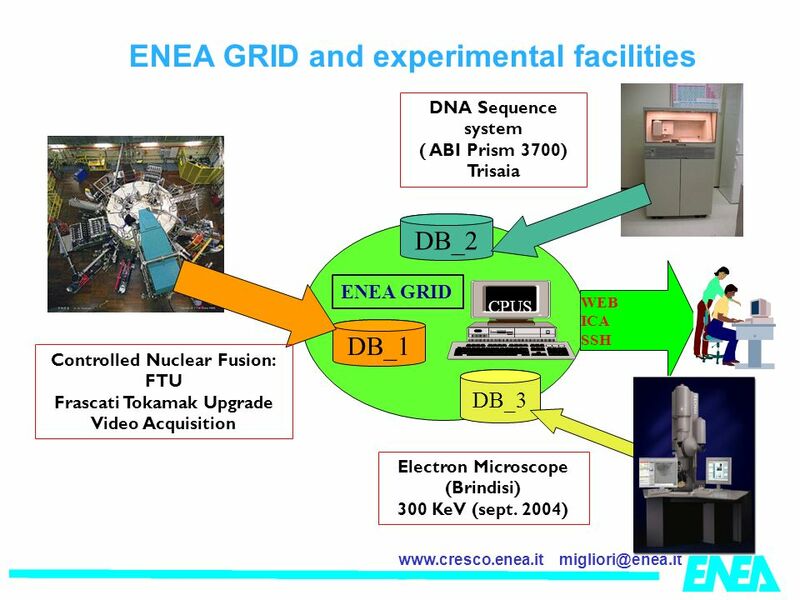 Istituto Nazionale di Fisica Nucleare Italy LAL - Orsay April Site Report – R.Gomezel Site Report Roberto Gomezel INFN - Trieste. 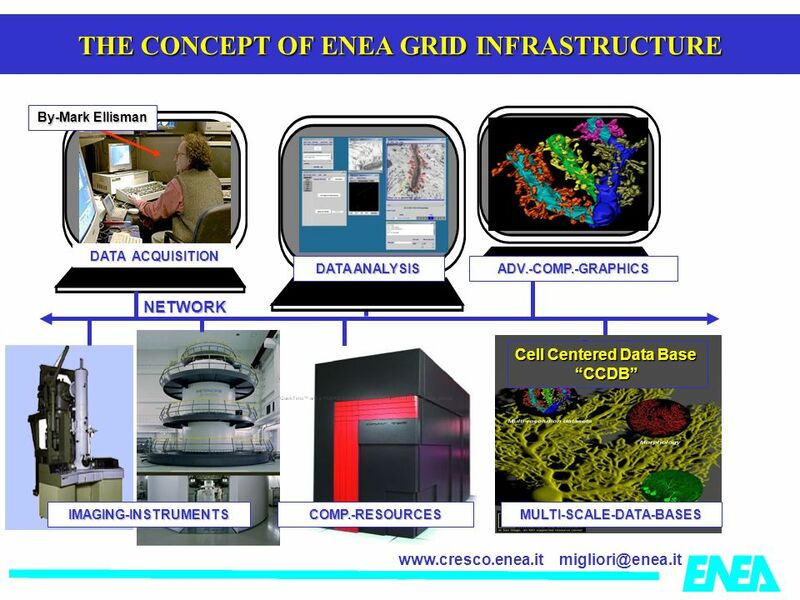 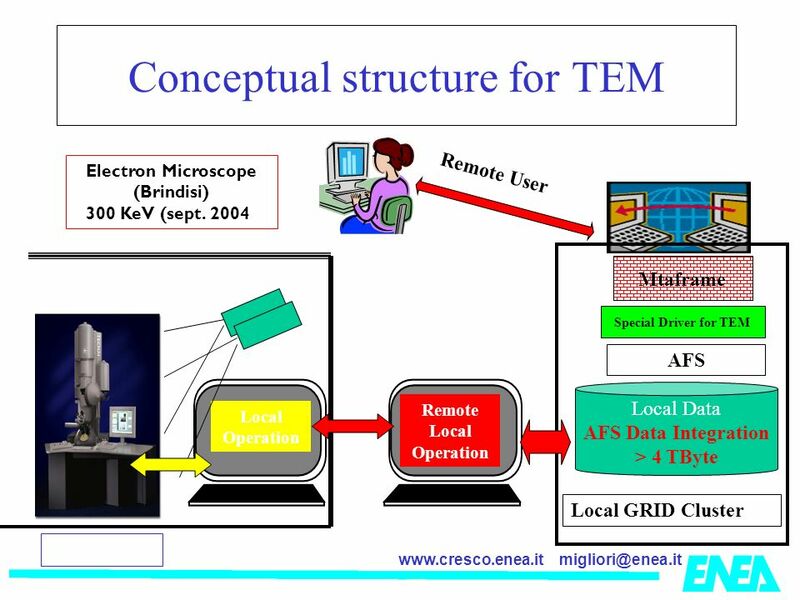 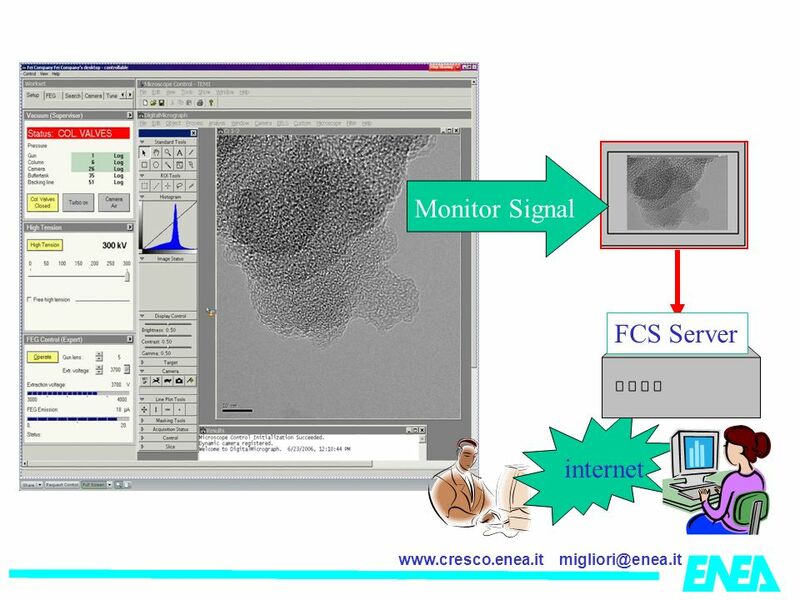 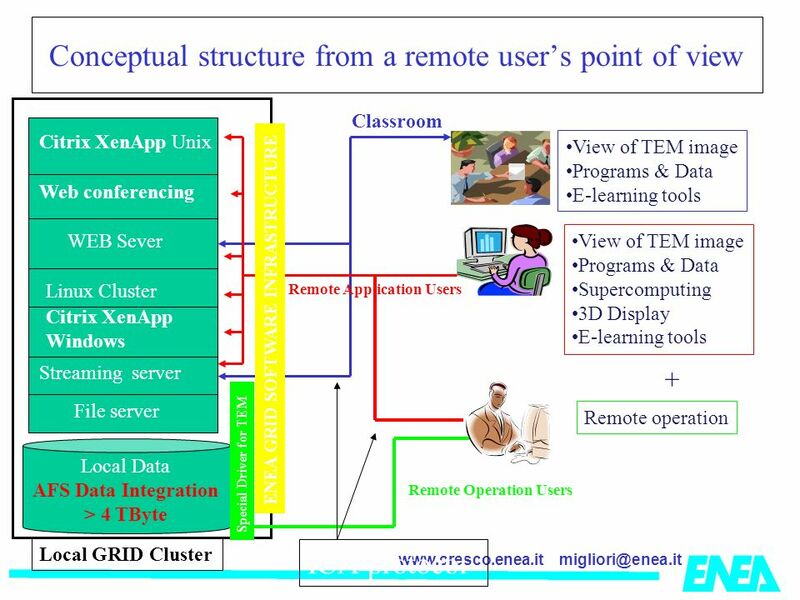 A DATA GRID ARCHITECTURE FOR REAL-TIME ELECTRON MICROSCOPY APPLICATIONS F. Mighela 1, C. Perra 2 1 Telemicroscopy Laboratory, 2 DIEE. 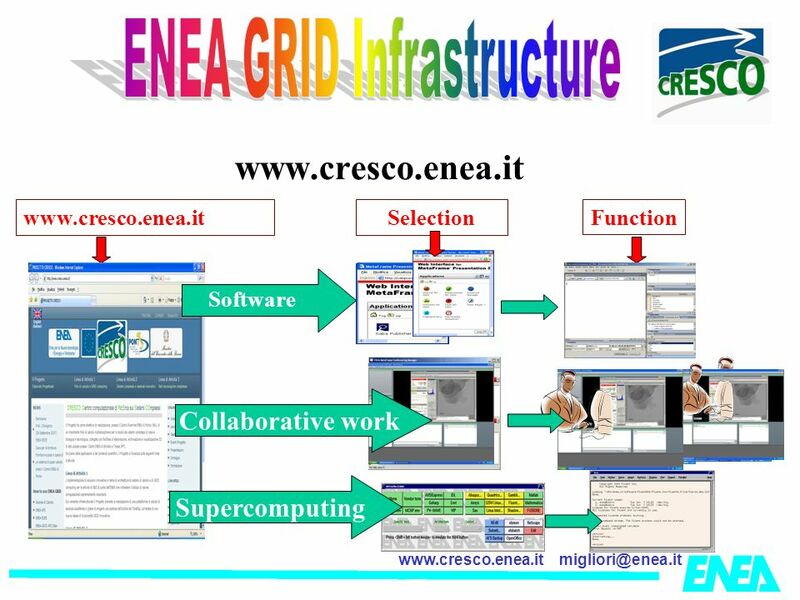 GRISU' Open Day su Scienza ed Ingegneria dei Materiali e Grid 2009-04-03: Napoli ENEA Grid e CRESCO in GRISU: uno strumento per la scienza dei materiali.